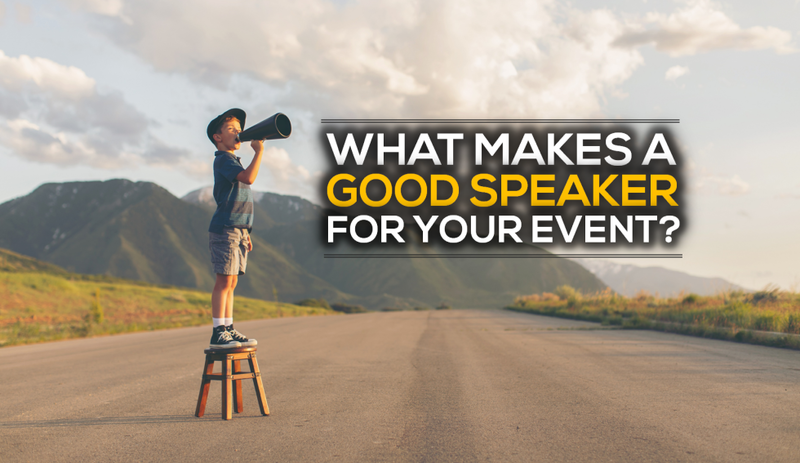 What Makes A Good Speaker For Your Event? A good speaker plays the role of a magnet for an event. He/she can attract audiences and greatly boost attendee satisfaction. To select the right speaker, the purpose of the event and what it must achieve needs to be defined clearly. A speaker that can engage with the audience and inspire them to take a positive action will make the event memorable and a successful one. An event can consist of several speakers like session speakers, guest speakers, and keynote speakers. To Entertain – A speaker should have the ability to entertain the audience. A fresh and updated speech, perfect dramatic pauses, and a strong command over the language are key to hold the attention of the audience. To Educate – Clients will only attend an event if they are exposed to something new and interesting. A speech that is informative and educates the audience about the agenda will hit all the right notes. To Set The Right Tone – A speaker needs to set the right mood for an event. An event’s success largely depends upon whether the speaker has set the right tone or not. 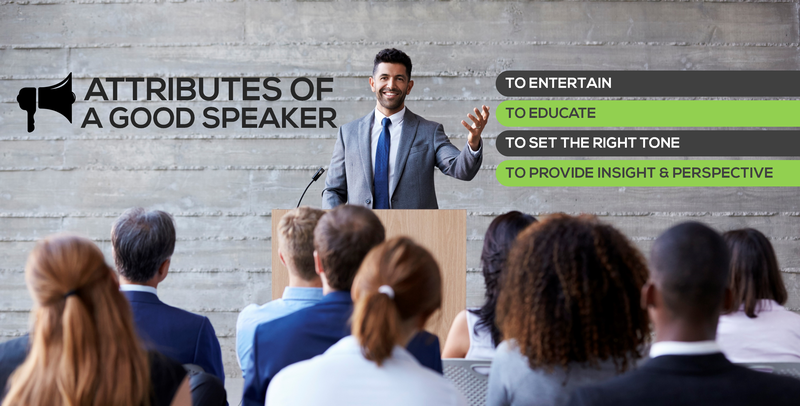 To Provide Insight and Perspective – The most important attribute of a good speaker is his/hr ability to provide his/her own insights and perspectives on the speech. It helps the audience to understand and relate better to the matter. Shobiz is known to understand a brands perspective and what they would like to achieve through an event. We know that it takes an interesting and interactive session to woo the audience and hence, we put an extra effort to set the perfect mood for your event and carefully select the speakers who have the above attributes that will give an extra edge to your event. 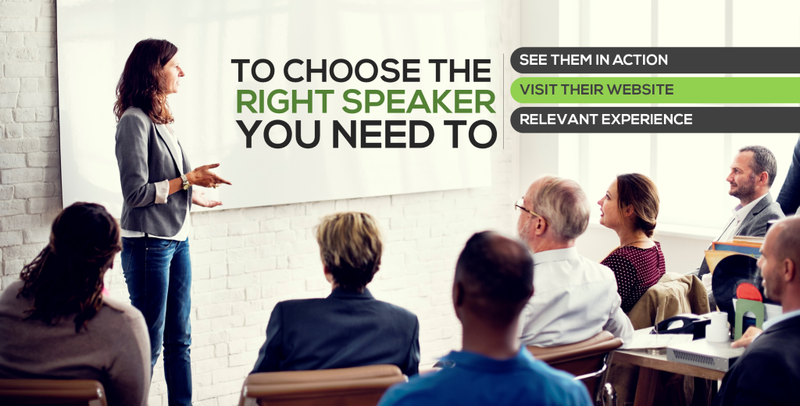 Knowledge and experience are two factors taken into consideration while looking for a good speaker. 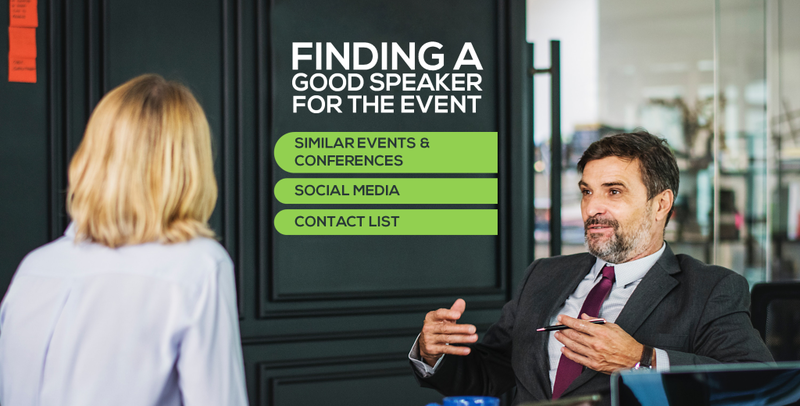 Similar Events and Conferences- Start searching for similar events that were held and try to connect with the speakers of that event. Attending events with a similar agenda can also help you connect with some outstanding speakers. Social Media – Dig around all social media platforms like Facebook, Instagram, Youtube to find a relevant speaker. Always choose a speaker who is active and has a huge following because those followers will turn into audiences for the event. Contact List – The best and easiest way to find a speaker is to go through your contact list. Ask your colleagues, friends, and family if they know and can connect you with a good speaker. You might have been able to find some incredible speakers for the event. But it is equally important to choose the one that suits your event the best. See Them In Action – The perfect way to choose a speaker is to see them in action. Take an effort to go for events they are invited to or go through all their speeches online. Take notice on how good they are with presenting slideshows, interacting with audiences and so on. Visit Their Website – A website will reveal the true qualities, uniqueness, strengths, and weaknesses of a speaker. It will help you to shortlist the apt speaker for the event. Relevant Experience – Choosing a speaker that already has knowledge and experience regarding a particular topic is better than choosing one who is new in the field. There you have it! The entire list of dos and don’ts for getting a good speaker on board your event.